Sally Prouty is the former Interim CEO for NCoC. She was appointed in December 2015 to assist the Board of Directors and staff in establishing strategic direction and vision for the organization. Guided by the belief that individuals and organizations committed to enhancing civic life in America must broaden their scope of influence, she is committed to engaging new partners and audiences in a national civic renewal effort focused on equity, diversity, and inclusion. Sally most recently served as Interim Director of Philanthropy for Active Civic Engagement (PACE), where she supported the board of directors in planning for the future of the organization and provided leadership in its search for a new executive director. In 2012, after serving nearly a decade as President and CEO of The Corps Network, Sally was appointed as the inaugural PACE Fellow to provide thought leadership and guidance on their ‘Civic Pathways out of Poverty’ project. PACE is a learning collaborative of funders doing work in the fields of civic engagement, service, and democratic practice. As President and CEO of The Corps Network (TCN), a national member association representing service and conservation corps, she led work focused on assuring quality, advancing policy, and building partnerships in support of its member corps. Through leadership in policy and practice TCN promotes national and community service as a strategy to revitalize communities, preserve and restore the environment, prepare young people for responsible, productive lives, and build civic spirit through service. Immediately prior to appointment at TCN Sally served seven years as Director of the Ohio Civilian Conservation Corps operating two residential and six non-residential programs. Prior to her work with Civilian Conservation, she served four years as Deputy Director of the Ohio Department of Natural Resources representing the divisions of Water, Soil and Water Conservation, Geological Survey, Civilian Conservation, Recycling and Litter Prevention, Public Information, and Education. 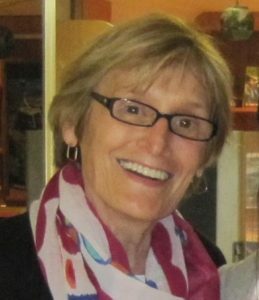 In addition to 30 years in the public and private sectors, including administrative and faculty positions as a nurse, Sally has held volunteer positions at the local, state, national, and international levels including service on a city board of education and on the founding board of a charter school. She currently serves on the advisory board for Community Renewal International. A Registered Nurse, Prouty also holds a degree in Organizational Communication from Capital University in Columbus, Ohio.